Wow, Day 99. I started this 100 days as a commitment to practice, to learning, to making sure that I gave myself some sort of real foundation to gain a new skill. Showing up every day for the blog has been the impetus more than once to get that day’s practice in. It worked. How could I let myself down, in front of you all? 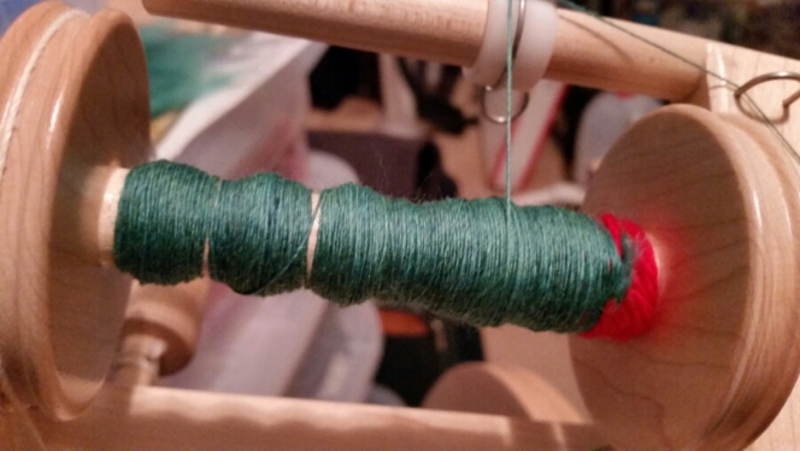 It’s really nice to have the merino figured out, so that I can go back to longer spinning sessions. No more mini-bobbins and samples. Back to the zen of the movement – today’s session was lovely. Way to go Ann, w a y to GO!